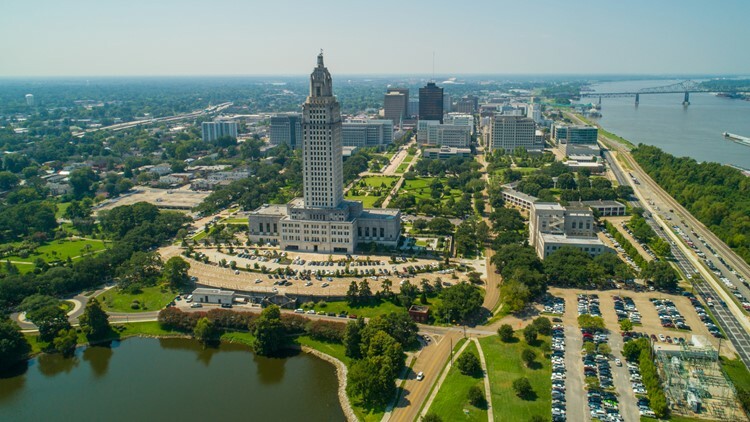 The U.S. Centers for Medicare and Medicaid Services said it will include Louisiana in a future review of how "high risk states"
BATON ROUGE, La. (AP) — The federal Medicaid agency described a November audit that said Louisiana's Medicaid expansion program may have spent as much as $85 million on ineligible enrollees as "deeply troubling" and said it could seek repayment of misspent money. The U.S. Centers for Medicare and Medicaid Services said it will include Louisiana in a future review of how "high risk states" determine eligibility for government-financed Medicaid benefits, in response to work done by Louisiana Legislative Auditor Daryl Purpera. But the federal agency, known as CMS, also noted a computer system change launched by Gov. John Bel Edwards' administration after Purpera's audit. The Louisiana Department of Health now does quarterly eligibility checks, rather than previously performed annual checks, and uses more wage data for comparison. "As we understand, recent upgrades to Louisiana's eligibility systems will help to address some of the issues identified," CMS Administrator Seema Verma wrote in a March 8 letter to U.S. Sen. Ron Johnson, a Wisconsin Republican and chairman of a Senate oversight committee. Verma's letter, provided to The Associated Press by Purpera's office, came in response to concerns Johnson and U.S. Rep. Jim Jordan of Ohio, the top Republican on a House oversight committee, raised in January about Purpera's audit. Though the federal Medicaid agency has limited legal authority to seek return of overpayments made through eligibility mistakes, Verma wrote that it can recoup misspent federal funds from states through a "disallowance" in certain circumstances. "If CMS determines that claims were reported in error or fraudulently, CMS may pursue corrective action to ensure that the state changes its practices and may use the disallowance process to recover federal financial participation," Verma wrote. Louisiana Department of Health spokesman Robert Johannessen said the department hasn't had any discussions with CMS about recouping funds because of the audit. Auditors in Purpera's office used a random sample of 100 Medicaid expansion recipients, to check if their income exceeded the eligibility threshold. Projecting those results across the entire expansion population, auditors wrote, suggests the health department spent between $61.6 million and $85.5 million over 20 months on people who weren't eligible for coverage. Edwards supporters have criticized the methodology used by auditors. Republicans have seized on the report to bolster their claims that the Democratic governor was so focused on expanding Medicaid when he took office in 2016 that he didn't make sure his administration could properly administer the expansion and avoid abuse. The Edwards administration points to its computer upgrade and to letters sent to 37,000 Medicaid enrollees in February notifying them they appear to earn too much to stay in the health insurance program. More than 500,000 working poor and other nonelderly adults have been added to the Medicaid rolls since Edwards, running for a second term on the October ballot, expanded the program. Under Medicaid expansion, adults ages 19 to 64 with incomes up to 138 percent of the federal poverty level — about $16,750 for a single adult or $28,680 for a family of three — are eligible for the coverage. The federal government pays most of the cost. Louisiana is paying a share that eventually increases to 10 percent, but lawmakers passed financing tools to help cover the state's share, including a tax hike charged on health maintenance organizations.